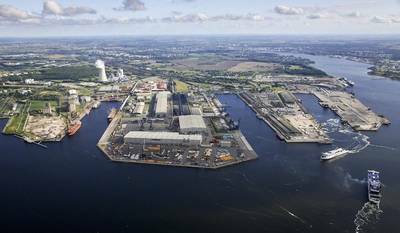 Russian gas producer Novatek and Belgium's Fluxys joint venture Rostock LNG GmbH has signed a Land Lease Agreement with the Port of Rostock with a view to building and operating a mid-scale liquefied natural gas (LNG) storage terminal in the port. The joint venture (Novatek 49% - Fluxys 51%) intends to build and operate a terminal for receiving and unloading mid-scale LNG carriers, keeping LNG in storage and providing services to enable downstream distribution of LNG: Truck loading (and possibly rail carriages) to supply LNG to industry or LNG-fueling stations for trucks and reloading to supply LNG amongst other as bunker fuel for ships operating in the Baltic Sea. The mid-scale LNG storage terminal in the port of Rostock is to receive LNG carriers from the liquefaction facility which Novatek is currently building in the port of Vysotsk near Saint-Petersburg. Following the signature of the Land Lease agreement, Rostock LNG GmbH is to proceed with the engineering and permitting processes.